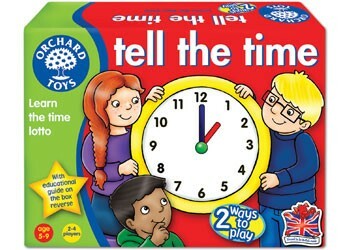 Children will learn about analogue and digital time telling in this fun lotto game! Say the time out loud and try to make a match on your action-packed playing board. Children learn and develop skills with analogue and digital times. Each player has an action packed playing board showing pictures of clocks and fun activities. Players have to say the time and try to make a match on their board. The game helps children learn about time as they develop skills with digital and analogue times. 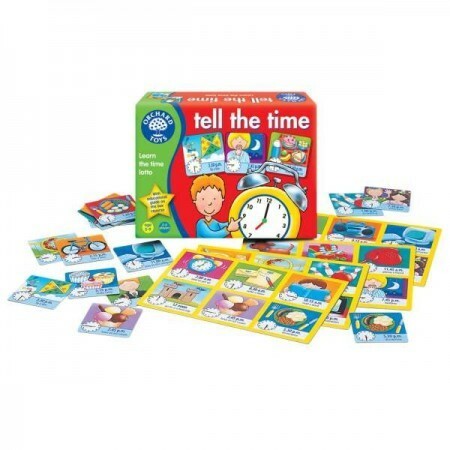 Game includes 4 'time' boards, 24 picture cards and an instruction leaflet. Suitable for 2 to 4 players.